Offering Wi-Fi connectivity, Hotel Sitara Grand is at an approximate distance of 0.5 km from the Deluxe Center Bus Stop and at 1 km from the Iskcon Temple.This 3-storey hotel has 3 floors and 8 rooms. Each room has a television and a telephone. AC as well as non-AC accommodation is available at this property. All the rooms have attached bathrooms with hot and cold running water.Services offered by this Rajahmundry hotel include doctor-on-call and laundry.This budget hotel offers breakfast delivered to the room. Facilities include 24 hours front desk, laundry and parking.The places that are worth a visit include the Gowthami Ghat at 1 km, the River Bay Amusement Park at 1 km, and the Kalki Bhagavan Temple at 1 km. Hotel Sitara Grand is reachable from the Rajahmundry Railway Station (2 km) and the Rajahmundry Airport (16 km). Full refund if you cancel this booking by 01-May-19 12:00 PM IST. First night cost (including taxes & service charge) will be charged if you cancel this booking later than 01-May-19 12:00 PM IST. No upfront payment required. | Pay directly at the hotel. What needs to improve : Nothing. Reason For Rating : Room walls are wet and sticky. Hope repairing works are going on. Better not to allot such room to the customer till the repairing jobs ate completed. Reason For Rating : Hotel main usp is its location you can reach very easily from bustand and railway station movie theatre is besides the hotel as well iskon temple one of the famous biryani in rajahmundry , you can find it in JK coming to amenties staying with family for a day or two is nice & washrooms are good but it could be even better will recommend ! Reason For Rating : Good environment and close to River. Prime location in the town. What needs to improve : they provided very small bathroom.that is the only inconvienience and also AC is making little noise. We waited for atleast 1 hour and finally seated. We ordered for a paneer fried rice and received a dish but cannot call it as fried rice, literally they mixed chilli powder in it that too order for my 4 year old son. When I complained they gave some plain rice and said to mix and cover the spice. Although we r not satisfied, we paid the bill for the food we didnt eat. 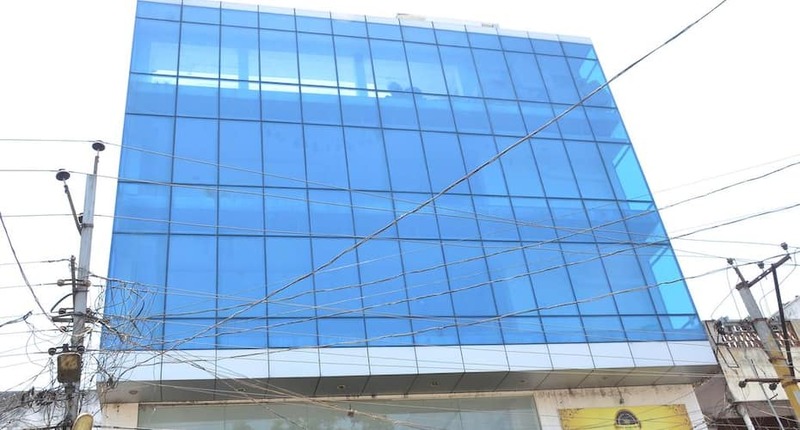 Good Location,value for money,room is clean,you can reachto Godavari Ghat,puskara ghat,boating places,evening site seeing,nearby shopping and site seeing.Approach to foodstalls and restaurants.Overall so good and value for money.Rooms are so clean and good price rating for rooms,staff and service. The restaurant nearby serves great vegetarian food. The hotel looks new from the outside. But most of walls show signs of seepage. The housekeeping staff were shabbily dressed and were just sitting idly. There is no restaurant in the premises. The A.c., fans, tv and geyser were working well. Not ideal for families. You could see people smoking in the rooms. A budget hotel with decent rooms, no restaurant at the hotel though. They get a parcel for you and you can have it in the room. However, the food is a little spicy in the region hence, order accordingly.